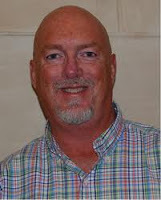 Region 5 Executive Director, and one of the heads of CSCOPE, Danny Lovett says, "I would have killed for CSCOPE." Did he go too far with this statement? I know he likes CSCOPE, and it probably helps him keep a good paying job if he keeps his CSCOPE program from collapsing, but seriously, he loves it so much that he would KILL for it? This video is from when Dr. Danny Lovett came to Lumberton ISD a couple of weeks ago. Many parents at Lumberton ISD are upset that the CSCOPE Curriculum is being used in Lumberton schools. Lovett's purpose for coming to Lumberton ISD was to try to promote CSCOPE as something awesome so that all the parents would just be happy about it I guess. This angered many parents who were expecting a public forum where parents could express concerns. Instead of a public forum, these parents showed up to find out that there would be no official school public forum, and instead there was an information presentation from Lovett intended to promote CSCOPE. Before the presentation could even start, some parents stood up and made it known that they were not happy and wanted to ask question and not just be presented a puff piece by one of the leaders in CSCOPE. I am glad that Lumberton ISD Administration did do a good job of allowing parents to ask questions at this informational meeting. It was just frustrating because the parents were having to continually interrupt the meeting to correct something or inquire about the something that the CSCOPE Director was presenting. To his credit though, he did allow the parents to interject their comments during his CSCOPE promotional. He didn't answer my question though about how much money he made. You see, he had tried to downplay the fact that CSCOPE double dips with tax dollars when they use tax money to create it and then sell it to schools who pay for it with tax dollars. His excuse for it not being an issue is that CSCOPE is created under a non profit organization, and therefore they cannot make a profit with it so we should not worry about what CSCOPE is charging because, hey, they cannot make money from it. I stood up and pointed out that although their organization cannot technically make a profit, they can still certainly gain financially from CSCOPE. I pointed out the different directors of "non profit" organizations who make millions a year in base salary. I then asked him how much he made. He would not give me a number, although he was adamant earlier in the evening about his organization being completely open about finances. My question was not intended to bash him or say that he should not be compensated for his job. My point was that, even as a non profit, they certainly stand to gain financially if CSCOPE does well via salaries and new hires and more power as the "non profit" grows and does well. It was also interesting that, on top of promoting CSCOPE, Danny Lovett also tried to associate anyone who was against CSCOPE with terroristic threat emails. I don't know the validity of whether or not CSCOPE administrators have received any valid threatening emails or if they were just upset individuals venting about the seemingly un-American lessons in CSCOPE. I do not condone that and neither do ANY of the people who are pushing for the removal of CSCOPE from Texas Schools. We who are against CSCOPE have valid reasons to show why CSCOPE is flawed and needs to be removed. We don't threaten. Yet, here was Danny Lovett standing in front of us telling us how hateful and threatening the people against CSCOPE are. It seemed to me as though he was trying to discredit anyone who might speak out against CSCOPE at the information meeting by grouping people who speak out with valid concerns into the same pot with some random hateful people who may or may not have sent threatening emails to them. It was interesting though that he would talk about violent comments people might have made to him but yet he has not problem spouting out violent comments without thinking, like how he would have killed for CSCOPE. That is it for this article. I will be posting another video soon from this meeting showing that Danny Lovett straight up lied to the Lumberton ISD parents concerning a particularly troubling CSCOPE lesson. I got it all on video of course!